Repair your toilet quickly and easily: replacement Side Mount Toilet Tank Lever Fits ELJER Toilets . JAG Plumbing Products strives to bring customers the best products in Canada and make them available on the best online shopping platform: Homedepot.ca - Owned and Operated in Ajax, Ontario, Canada, JAG PLUMBING prides itself on offering Home Depot Customers durable, high quality, non OEM replacement plumbing parts. 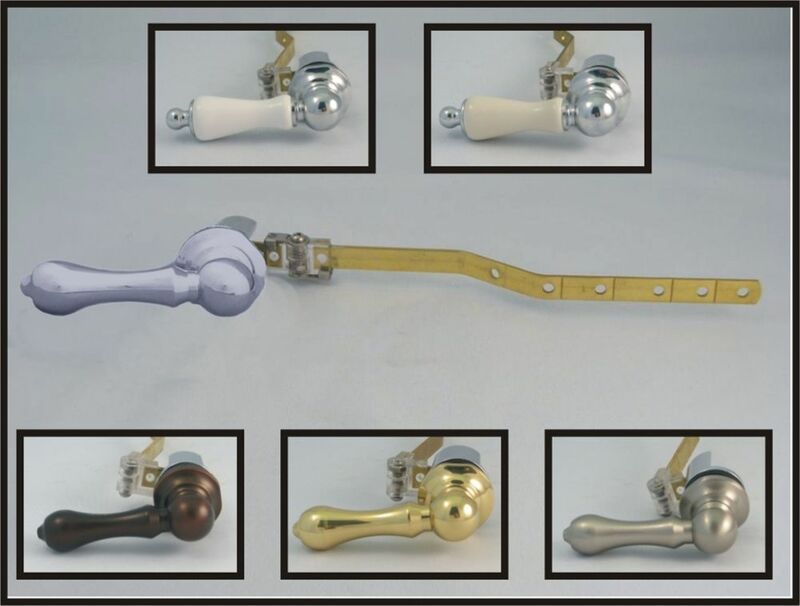 Universal 4-WAY-STANDARD, Traditional, Toilet Tank Lever, Chrome with BONE Ceramic Insert is rated 1.0 out of 5 by 1. Rated 1 out of 5 by GH from I installed the part and it cracked (at the plastic... I installed the part and it cracked (at the plastic joint) on the first flush. I returned it last night.